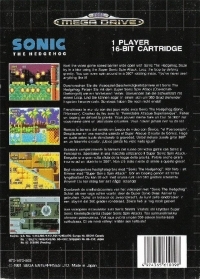 Box Text: Bust the video game speed barrier wide open with Sonic The Hedgehog. Blaze by in a blur using the Super Sonic Spin Attack. Loop the loop by defying gravity. You can even spin around in a 360º rotating maze. You've never seen anything like it! 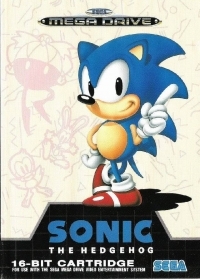 02-24-2016 apholyon Box Text Bust the video game speed barrier wide open with Sonic The Hedgehog. Blaze by in a blur using the Super Sonic Spin Attack. Loop the loop by defying gravity. You can even spin around in a 360º rotating maze. You've never seen anything like it! 11-17-2014 tpink Description Bust the video game speed barrier wide open with Sonic The Hedgehog. Blaze by in a blur using the Super Sonic Spin Attack. Loop the loop by defying gravity. You can even spin around in a 360 rotating maze. You've never seen anything like it! This is a list of VGCollect users who have Sonic the Hedgehog in their Collection. This is a list of VGCollect users who have Sonic the Hedgehog in their Sell List. This is a list of VGCollect users who have Sonic the Hedgehog in their Wish List.